Nicotine patches will no longer be the main treatment option for smokers wanting to quit, with a pilot scheme offering traditional Chinese medicine. From Thursday, 10 vans will stop at 48 locations in the city, providing free consultations. The scheme, a collaboration between the Department of Health and Pok Oi Hospital in Yuen Long, will start in Olympian City and last a year. A recruitment hotline will also be launched the same day. Hong Kong would be the first place in the world to provide quit smoking counsellors who are also traditional Chinese medicine practitioners, Tobacco Control Office head Dr Ronald Lam Man-kin said. A number of herbalists completed counselling training in Hong Kong organised by the Mayo Clinic of the United States in February, he said. 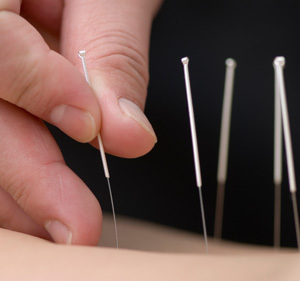 Acupuncture can ease the pain of withdrawal symptoms such as headaches, dizziness and a short temper, Lam said. Mainland herbalists from the Ministry of Health helped design the treatment protocol, he said. Meanwhile, the Tung Wah Group of Hospitals will set up its fifth quit smoking centre in Wan Chai after receiving an extra HK$5 million from the government’s budget this year. The group operates four centres. Among the more than 700 smokers who joined the group’s quit smoking scheme, more than 40 per cent successfully kicked the habit within six months, Lam said. This success rate was much higher compared with the international average of about 20 to 30 per cent, he said. Nearly one in three smokers worldwide lights up in China, where cigarettes – commonly given as gifts – are so tightly woven into the culture, some believe it’s an impossible habit to kick. But a new report suggests the keys to quitting lie in the country’s own backyard. Hong Kong has successfully fought tobacco for two decades and seen its smoking rate drop from 23 percent in 1982 when the campaign began to 12 percent in 2008 – the lowest in the world. The former British colony, now under Chinese rule, hit cigarettes hard with taxes up to 300 percent, banned indoor smoking and promoted education through schools and public service announcements – proving that smoking and Chinese culture aren’t necessarily married for life. 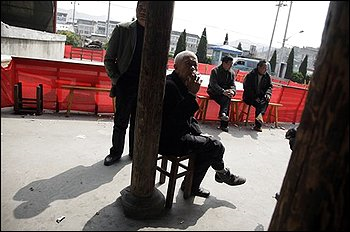 About 30 percent of the world’s smokers live in China, a number roughly equal to the entire U.S. population. Within the next 15 years it will kill an estimated 2 million Chinese annually, the report said. The country is home to both the world’s largest tobacco grower and cigarette producer. But the government now needs to step up and confront its state-owned tobacco monopoly by slapping cigarettes with steep taxes, said Dr. Judith Mackay, a World Health Organization senior policy adviser who’s been a long-standing vocal leader of anti-smoking campaigns across Asia, working with China since the 1980s. She said it’s a target that can hopefully be met, showing China what’s possible with enough direction. Hong Kong’s leaders, along with WHO chief Dr. Margaret Chan, the financial hub’s former health director, are also key to helping China realize just how much smoking will cost the country in the long run. Earlier this week, a national study revealed that China is now home to the most people living with diabetes. 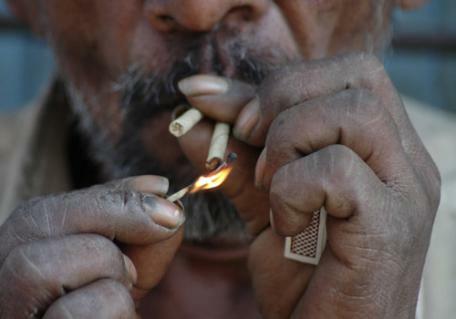 Smoking is a major risk factor for that chronic ailment along with heart disease, the country’s top killer. Tobacco-related diseases are already linked to about 1 million deaths a year. Every image is linked to their original source and you are recommended to check out other amazing works of the photographers/designers. Click on the source link to view all ads. Negotiators have made significant progress on a global pact to halt smuggling and counterfeiting of tobacco products in a week of talks, the World Health Organization (WHO) said on Sunday. But they did not discuss a proposal to ban sales of duty-free cigarettes, which activists say are frequently diverted into illicit trade that costs governments an estimated $40 billion in lost taxes. Instead, negotiators from 168 countries did agree in closed meetings on the outline of a “tracking-and-tracing” system for tobacco products, the WHO and non-government organizations said. Senior health officials will attempt to hammer out remaining differences when they meet in Uruguay in November to finalize the treaty, formally a protocol to the 2005 Framework Convention on Tobacco Control (FCTC). “There has been a great amount of progress. We made breakthroughs in important areas of the protocol, but just need to carry on with this momentum,” Vijay Trivedi, policy adviser to the FCTC secretariat, told Reuters after talks ended on Sunday. “It needs more time, basically,” he said, confirming agreement on the outline of a tracking and tracing system. The treaty would require countries to license tobacco manufacturers, set up the tracing regime with a global data base, and carry out due diligence on sellers, distributors, exporters and importers. 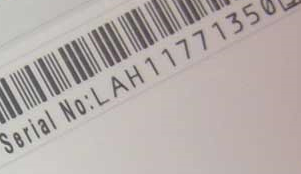 All unit packets of cigarettes would have to be marked with unique serial numbers, a provision that tobacco companies say would cost them hundreds of millions of dollars to implement. But Gigi Kellett, tobacco campaign director at the activist group Corporate Accountability International, said the negotiators did not discuss a ban on duty-free tobacco sales. Airports, airlines and duty-free operators say they would lose $3 billion a year from such a ban, and that there is no evidence that products intended for duty-free sale are diverted. Philip Morris International, which makes Marlboro cigarettes and is the world’s largest non-state-owned tobacco firm, and British American Tobacco, the second-biggest cigarette maker, say they back effective measures against illicit trade. 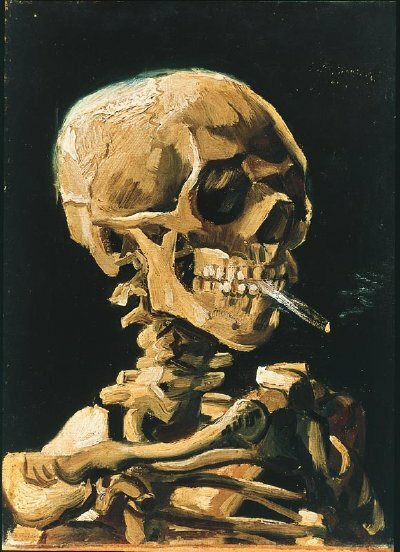 Tobacco kills 5.4 million people a year from cardiovascular disease, cancers, diabetes and other illnesses, according to the WHO, which clinched the anti-tobacco treaty in 2005. The existing treaty obliges governments to protect their populations from exposure to tobacco smoke and reduce demand through price and tax measures, regulating packaging and labeling of products and curbing advertising and sponsorship. Nathan Cohen could not stop smoking even after he was diagnosed with lung cancer, heart disease and chronic obstructive pulmonary disease. He tried hypnosis, nicotine gum, even attended anti-smoking seminars before succumbing to cancer in 1994. A Broward Circuit jury Wednesday awarded the widow of the deceased cigarette smoker $26.6 million after finding cigarette manufacturers R.J. Reynolds and Philip Morris liable for causing his lung cancer and death. The jury decided the cigarette makers should pay his widow $10 million each in punitive damages and awarded Cohen’s widow, Robin Cohen of Plantation, Fla., $6.6 million in compensatory damages. A $10 million jury award was reduced by a finding that her husband was one-third responsible for his illness. The jury deliberated 5 and a half hours over two days on the question of damages in the trial before Broward Circuit Judge Jeffrey Streitfeld. Florida smokers filed about 8,000 lawsuits after the Florida Supreme Court threw out a record $145 billion class action award in 2006 but allowed people to sue individually. Cohen filed one of the follow-on suits. Nathan Cohen smoked from age 14 in 1940 until he died at 68 in 1994. 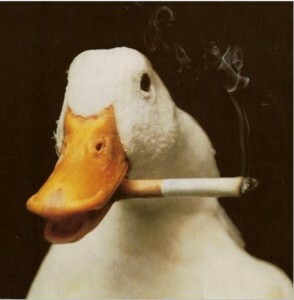 He smoked Reynolds brands Salem and Camel and Philip Morris’ Benson & Hedges cigarettes. Trop said he has about 50 more lawsuits pending for individual smokers. Trop, a partner at Paige Trop & Ameen in Hollywood, Fla., tried the case with firm partner Gary Paige and Miami attorney Alex Alvarez. He said it was the first case stemming from the class action that held two tobacco companies accountable at the same time. R.J. Reynolds spokesman David Howard said the company would appeal the verdict and prepare for other smoker litigation. “We are confident in our defenses,” he said. Phillip Morris’ parent company plans an appeal. “The verdict is the result of legal rulings by the trial court that improperly eliminated most of the plaintiff’s burden of proof,” said Murray Garnick, senior vice president for Altria Client Services. 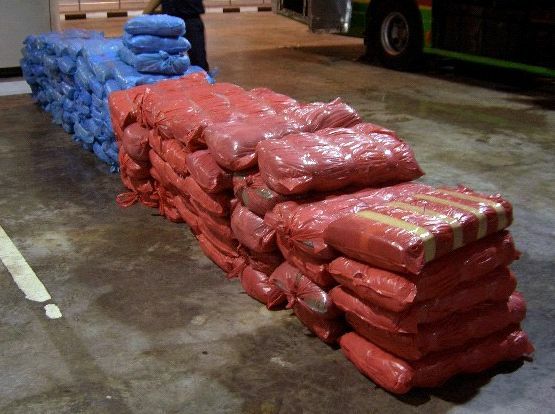 A crackdown in Malaysia on retailers selling smuggled cigarettes saw more than 100 cases brought to court during the first two months of this year, according to a story in The Star quoting the deputy director-general of the Customs Department, Datuk Mohamed Khalid Yusuf. During the whole of last year, only a few cases went to court. Retailers face being fined 10 times the value of any smuggled cigarettes seized from them. “Currently, in Peninsular Malaysia, one out of three cigarette packs sold in the market is illegal, whereas in Sabah and Sarawak, two out of three cigarette packs sold in the market are illegal,” Khalid said. 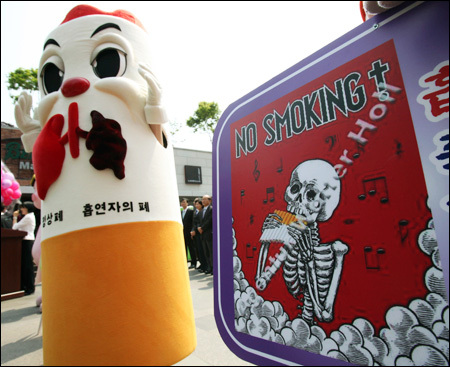 Seoul Metropolitan Council has proposed an ordinance that would prohibit smoking on streets and in parks and plazas within the capital, except in separate, designated smoking areas, according to a story in The Korea Times. At the same time, the bill would provide tax incentives to companies participating in non-smoking campaigns. If passed, the bill, which is due to be discussed during an extraordinary session of the municipal council in June, would take effect from January next year. Hong Kong, China (HK) went for more than eight years without increasing tobacco tax, partly because its thriving economy simply did not need the extra revenue, but undoubtedly also partly due to intensive and persistent lobbying by tobacco interests. When at last a rise was announced last year, it must have come as a nasty shock to the industry—it was 50 per cent (see Hong Kong, China: tax rise at last. Tobacco Control 2009;18:164–5). The big tobacco companies then hiked up the price to counteract the loss of profits from the large decrease in duty-paid sales they knew would result. Nevertheless, tobacco companies saw a red warning light and in January this year, about a month before the annual budget announcements, a rash of pro-tobacco public relations stunts began to appear in news media. Some could not be traced with certainty, but others were the work of a previously little-noticed foundation called the Lion Rock Institute, whose mission includes supporting ‘libertarian’ free trade and protecting the people of HK from ‘creeping socialism’. Lion Rock, purportedly independent, has acknowledged that it is ‘supported’ by funding from the Atlas Economic Research Foundation of the USA, a free-market think tank which supports country level institutes like Lion Rock in many countries around the world. Atlas has acknowledged substantial tobacco industry funding. Lion Rock’s case for HK’s finance minister not to put up tax again was expressed in a policy paper entitled, ‘Failed tobacco tax sees hopes go up in smoke’, purportedly based on official data. It was written or at least defended by a member of staff apparently barely out of college, but willing to debate with experts with considerable knowledge of the local tobacco tax situation. It appeared in The Standard, a tobacco-friendly daily newspaper owned by a local tobacco company boss, and on Lion Rock’s website. Its main points were repeatedly regurgitated in various media, including radio appearances. One of these was on an English language radio programme moderated by none other than the young staff person’s boss at Lion Rock. Despite numerous requests, Lion Rock did not respond to requests that it confirm whether tobacco industry funding was taken for the work in question. In addition, claims that the tax rise had not affected consumption, and that the finance minister must be out of pocket, are the opposite of the truth. After last year’s tax rise, sales of duty paid cigarettes decreased by more than 30 per cent, and a study by the University of Hong Kong showed that the number of young people calling its quit-smoking hotline jumped by 111 per cent after the increase. As for government tobacco excise revenue, that did not fall, but rose, by two per cent. It came as small surprise, though nevertheless as a bitter disappointment to public health organisations, that a strenuous rebuttal of the false claims went largely unreported. Even an open letter to the government by a raft of blue chip names failed to get any mention at all. The finance minister duly announced no change in tobacco duty, referring to last year’s rise as if it were sufficient to raise tobacco tax only once in a while. However, he did abolish duty free tobacco concessions, and publicly acknowledged that HK tobacco duty accounted for only about 60 per cent of the retail price of cigarettes, rather than the 75 per cent recommended by the World Health Organization. Overall, though, the budget was a significant victory for the tobacco industry. As to the future, even though the finance and excise departments know what nonsense is peddled by the industry, public health advocates must be far from hopeful of significant change in such an apparently tobacco friendly environment.